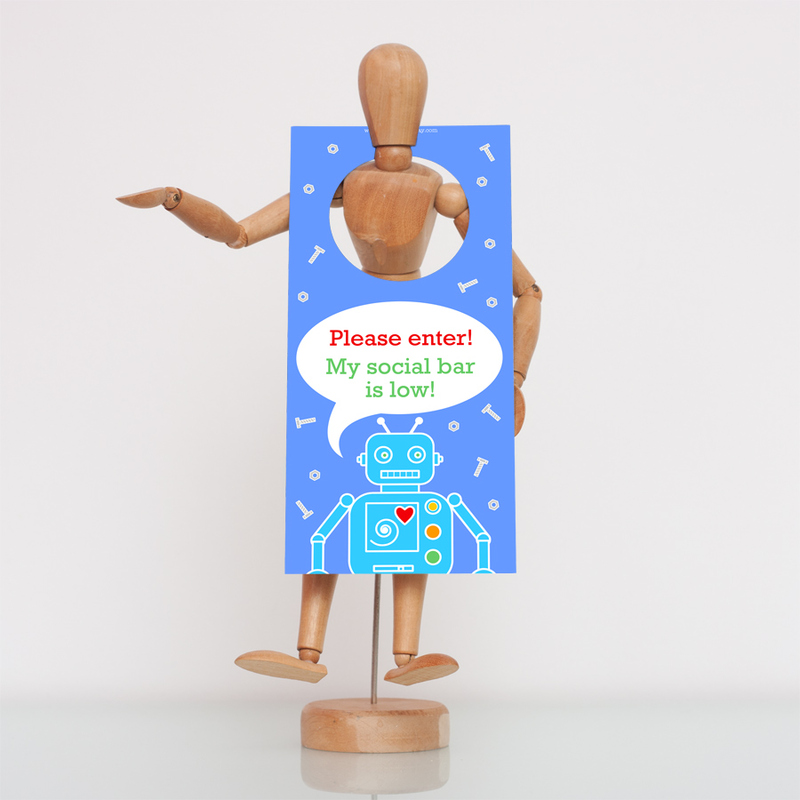 This robot boy door hanger is perfect for any boy’s bedroom. The fun, quirky design and vibrant colours will also make it a big hit as a special gift! The door hanger is double sided so is very thick and robust. 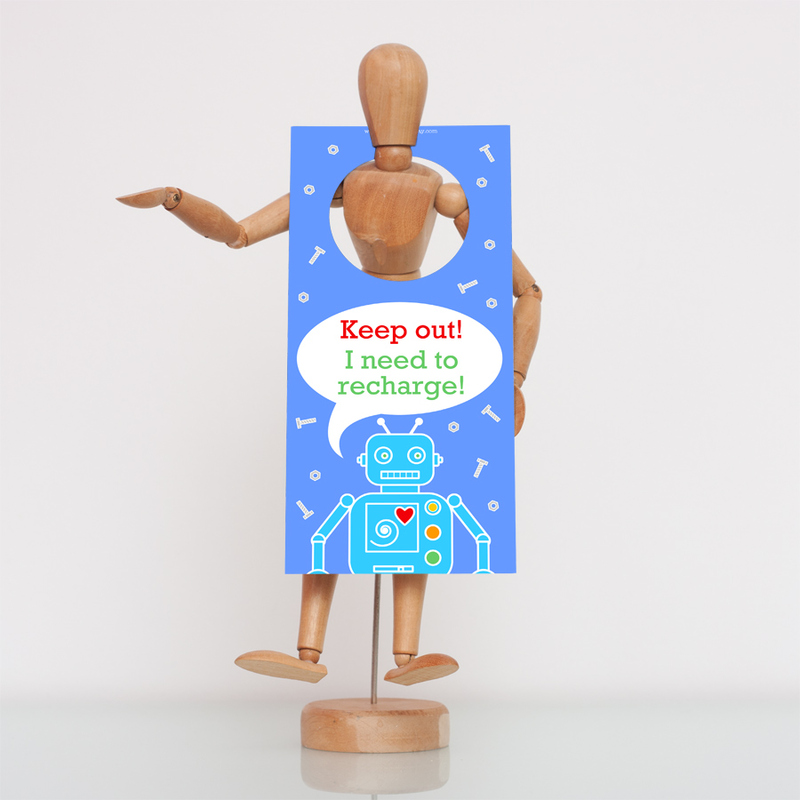 The design features a cute boy robot, with the text ‘Keep out! I need to recharge!’ on one side and ‘Please enter! My social bar is low!’ on the reverse side. Children will enjoy displaying either side on their door! 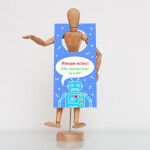 Be the first to review “Robot Boy – Double Sided Door Hanger” Click here to cancel reply.